Looking for a home on the creek? The search is over! This property has 5.46 acres +/- and includes approximately 600+/- feet of creek frontage along Little Terrapin Creek. Do you enjoy bicycling/walking the Chief Ladiga Trail? Well... this property also has over 1,000 +/- feet of frontage along Chief Ladiga Trail. And finally, as if it could get any better..... the Talladega National Forest is located basically across the street from this wonderful property. This type of listing doesn&apos;t come up for sale very often! 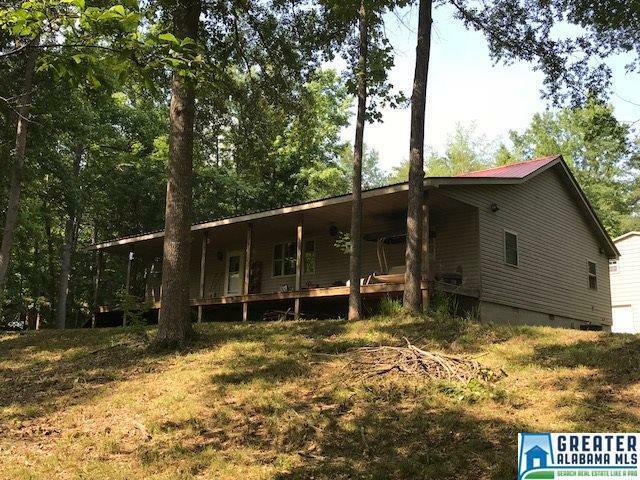 The house was built in 2001 and has 1664 square feet featuring 2 bedrooms/2 baths, open floor living area with cathedral ceilings, and rocking chair front porch spanning the front which faces the creek. Additionally, there is a detached workshop located behind the house. The top floor of the workshop could be finished and made into living quarters. Call today to see this one before it&apos;s too late! Driving Directions: From Piedmont Take Vigo Road/Turn R Onto Old Borden Springs Road After Passing Over The Bridge At Terrapin Creek, Travel Old Borden Springs Road Until You Pass Over The Iron Bridge, Turn R Onto County Road 203, Once You See The Chief Ladiga Trail Cross And Pull Into Drive.